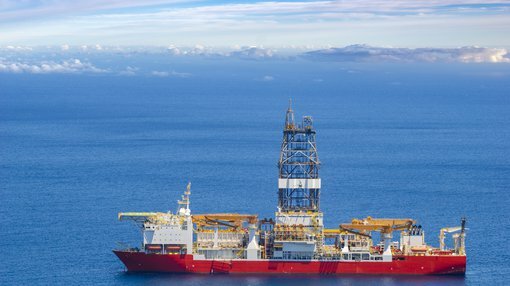 Pancontinental Oil and Gas NL (ASX:PCL) has advised that the Cormorant-1 exploration well in PEL 37 offshore Namibia has reached a total measured depth of 3855 metres and is to be plugged and abandoned as a dry hole. Management said that it had gained insightful understanding of the surrounding geology during the drilling process, and despite the well being a dry hole, wet gas signatures indicative of oil were first encountered in the overlying shale section and persisted throughout the target interval, indicating that there has been significant hydrocarbon generation in the area. Also encouraging was the fact that the well was efficiently drilled by operator Tullow Oil, reaching total depth on September 21, 2018, materially quicker than anticipated. The Early Cretaceous age Cormorant Submarine Fan target was encountered close to the predicted depth but no accumulated hydrocarbons were found. Important geological data has been gained from this well, providing valuable insights into the prospectivity of the Aptian-Cenomanian turbidite fans that are still valid exploration plays with very large oil resource potential in Pancontinental’s acreage both in PEL 37 and, further south, in PEL 87 (Pancontinental 75%). Cormorant-1 is the first modern well to penetrate this stratigraphic section in PEL 37, (covering some 17,000 square kilometres), and the joint venture is in the early stages of analysing the results. The analysis will assist the geological understanding, and the associated discovery probability, of other prospects and leads in PEL 37, some of which have significantly larger resource potential than Cormorant. The well data supports the presence of at least one active source rock system, with encouraging implications for the range of play types mapped in the block, and in PEL 87. Pancontinental Oil & Gas NL owns two thirds of Pancontinental Namibia Pty Ltd, which holds a 30% participating interest in PEL 37, giving it a 20% effective interest in PEL 37. It’s worth noting that this is an early stage play and investors should seek professional financial advice if considering this company for their portfolio. Exxon enters: Is this a defining moment for Pancontinental?